Homepage for Author Mark Carver: MEGA-DARK BOOK BLOG TOUR - JEN CUDMORE: "EVER BEEN TOLD HOW TO DO YOUR JOB?" MEGA-DARK BOOK BLOG TOUR - JEN CUDMORE: "EVER BEEN TOLD HOW TO DO YOUR JOB?" 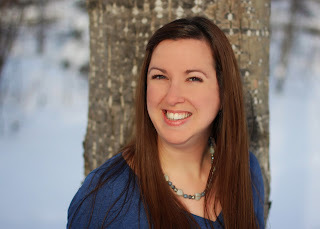 My final guest on the MEGA-DARK BOOK BLOG TOUR is Jen Cudmore! Ever been told how to do your job? At some point, someone has probably thought they knew how to handle a situation better than you. What's worse is when you're in charge of a project or situation, and the other person decides to insert themselves without your approval. They want to tell you the best way to do it, even when there was nothing wrong with the way you handled it. The worst is when they take items from your hand and do it themselves. And they just can't take the hint to leave you alone. But what do you do when it's the person who hired you? My first novel, The Lawmen of Clayton County: Athena Creek, is about a new marshal of a small town in the Oregon Territory. He's only on the job three months when he realizes the man who hired him expects full loyalty. And obedience. Marshal Trace Ingram is the stereo-typical cowboy, the kind you'll find in pretty much every Louis L'Amour book. He's been a lawman before, and doesn't need any advice. And yet Charles McCrae, the man who founded the town and hired Trace, makes it plain that if Trace won't follow orders, then he's welcome to leave. Ever been told by your boss that if you don't do something a specific way, you can find a new job? Trace knows Athena Creek is where he belongs. It doesn't take long for him to see the entire town is loyal to McCrae. So it comes down to a choice: Does he uphold the law as he sees fit, or does he let McCrae have his way? The answer is easy at first. Then Trace gets caught up in the investigation of three strange murders. And McCrae becomes his prime suspect. "What would McCrae do next time Trace refused to take orders? His stomach tightened as he remembered Orabella Madison standing in the street in front of the jailhouse, piercing eyes locked on his while she accused him of being McCrae's puppet. No, he wouldn't put up with the businessman's interference, even if it meant being tossed out of town. He was no man's pawn." Jen was born and raised in the Pacific Northwest. She currently lives in Alaska with her husband, two children, two boxers, and a fluffy black cat. 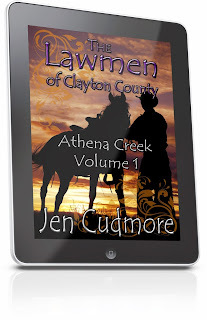 The rest of the Lawmen of Clayton County stories will be released later this year.